Samsung Electronics announced today that it is introducing the industry's first 8-gigabyte (GB) LPDDR4 (low power, double data rate 4) mobile DRAM package, which is expected to greatly improve mobile user experiences, especially for those using Ultra HD, large-screen devices. The 8GB mobile DRAM package utilizes four of the newest 16 gigabit (Gb) LPDDR4 memory chips and advanced 10-nanometer (nm)-class process technology. "The advent of our powerful 8GB mobile DRAM solution will enable more capable next-generation, flagship mobile devices around the world," said Joo Sun Choi, executive vice president of Memory Sales and Marketing at Samsung Electronics. "We will continue to provide advanced memory solutions offering the highest values and leading-edge benefits to meet the escalating needs of devices having dual camera, 4K UHD and VR features." The new 8GB LPDDR4 operates at up to 4,266 megabits per second (Mbps), which is twice as fast as DDR4 DRAM for PCs working typically at 2,133 Mbps per pin. Assuming a 64 bit (x64) wide memory bus, this can be viewed as transmitting over 34GBs of data per second. While many high-end ultra-slim note PCs use 8GB of DRAM currently, Samsung's new 8GB LPDDR4 package will help other next-generation mobile devices take full advantage of its extremely high capacity. For example, equipping tablets with 8GB of LPDDR4 will enable virtual machine operation and smoother 4K UHD video playback, popular features of many premium PCs. The Samsung 8GB LPDDR4 DRAM provides much more efficient power consumption thanks to its use of the latest 10nm-class process technology and Samsung's proprietary low-power circuit design. This circuit design enables the memory chip to double the capacity of the company's 20nm-class 4GB DRAM package, while consuming approximately the same amount of power. The 8GB LPDDR4 package has XYZ dimensions of under 15mm by 15mm by 1.0mm, which satisfies space requirements of most new, ultra slim mobile devices. Using a DRAM package thinner than 1.0mm enables stacking the package together with UFS memory or a mobile application processor, depending on device manufacturers' preferences, which will allow further space savings on the printed circuit board. In August last year, Samsung introduced the industry-first 20-nanometer 12Gb LPDDR4 DRAM. 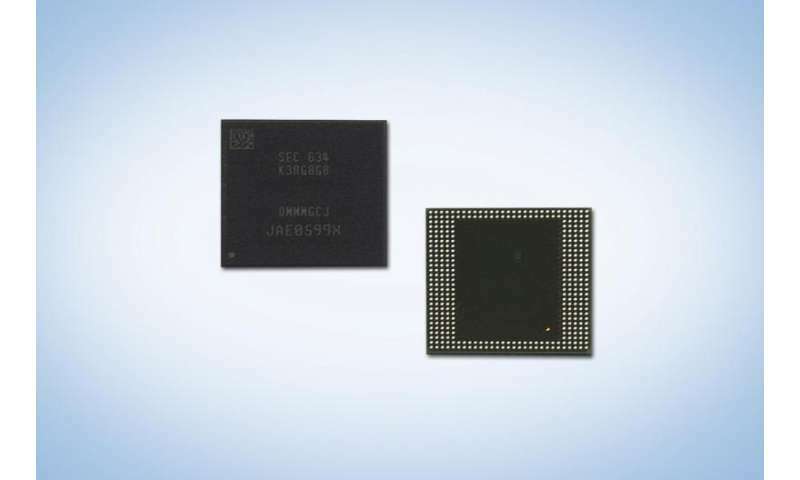 After only a 14-month development period, Samsung is now introducing the first 10nm-class 16Gb LPDDR4 DRAM and this single-package solution of 8GB LPDDR4 DRAM, which will speed up the launch of next-generation mobile devices with even more advanced performance. Samsung will continue to expand production of its DRAM products based on 10nm-class process technology. The company has been manufacturing 10nm-class DRAM on a leading-edge fabrication line and plans to also use the 10nm-process technology in other fabs in the near future, to meet ever-increasing demands for advanced, high-density mobile DRAM. What difference does it make how much RAM the Big2 keep adding if every software update slows the device down?